Interest in oligometastatic disease is increasing owing to advances in surgery and radiotherapy which make it possible to cure a subset of patients with metastatic disease previously treated with palliative intent. Imaging remains the cornerstone of the initial diagnostic workup prior to intervention by ensuring that disease is not more widely spread. Fluorodeoxyglucose (FDG) PET/CT forms the primary imaging modality in the workup of patients with oligometastases given its ability to rapidly survey the whole body with superior tumour-to-background contrast compared to CT or MRI. FDG PET has decreased sensitivity in well-differentiated tumours which despite their more indolent phenotype can similarly metastasise. A range of more targeted PET radiotracers are now available to overcome these limitations including fluorothymidine (FLT), fluorocholine (FCH), fluoride bone (NaF), somatostatin-receptor (SSTR) and prostate-specific membrane antigen (PSMA). Selecting the appropriate radiotracer for the patients’ tumour phenotype is critical in avoiding futile therapies and despite their perceived expense, are relatively cheap compared to the interventions that follow. No imaging technique, however, can detect micrometastatic disease or predict which patients have circulating tumour cells that are destined to seed. Therefore, whilst improvement in imaging technology is a valuable advance, it can also provide false hope by introducing lead time bias and detecting disease at an earlier stage without changing outcome. This may direct patients to interventions with curative intent that are ultimately futile and cause significant morbidity. To minimise this, in addition to utilising PET/CT with the most appropriate radiotracer, a period of observation is recommend before defining patients with asymptomatic disease as oligometastatic. 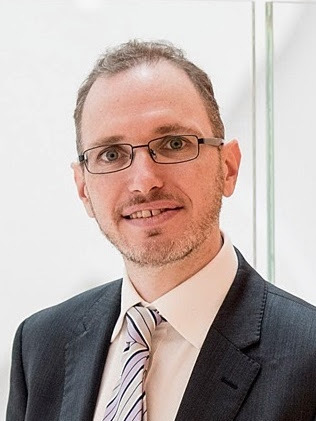 Bio - Professor Michael Hofman is a nuclear medicine physician at the Centre for Molecular Imaging, Cancer Imaging at the Peter MacCallum Cancer Centre in Melbourne, Australia's only public hospital dedicated to cancer treatment, research and education. He has a co-appointment at the Univeristy of Melbourne and previously completed a fellowship at Guy's & St Thomas' hospital in London. He has particular interest in novel F-18 and Ga-68 PET radiotracers, and theranostic applications including neuroendocrine tumours and prostate cancer. He is currently the principal investigator of a multi-centre randomised clinical trial of PSMA PET and also several trials of Lu-177 PSMA therapy. He has authored over 100 peer-reviewed articles and several book chapters. He serves as a scientific member for the Australasian Radiopharmaceutical Trials Network (ARTnet) and an associate editor for several journals including Cancer Imaging, Leukaemia & Lymphoma, and the Journal of Medical Imaging and Radiation Oncology (JMIRO).